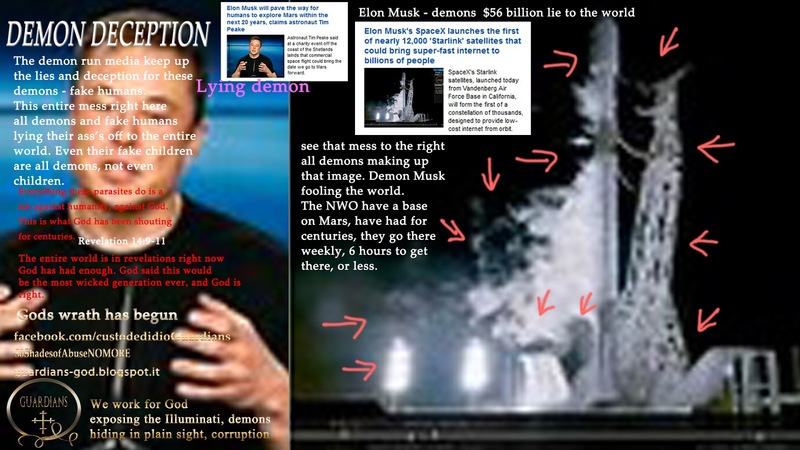 Secret Space Program run by the Illuminati NWO demons - no aliens, demons are aliens. 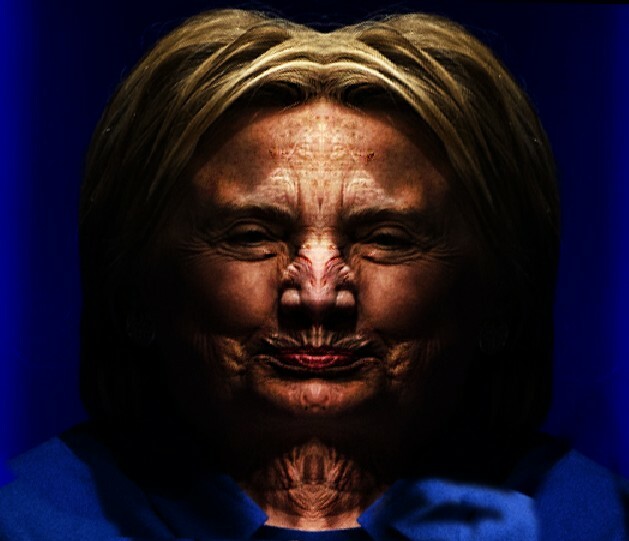 There are ZERO aliens, the aliens are the demons. 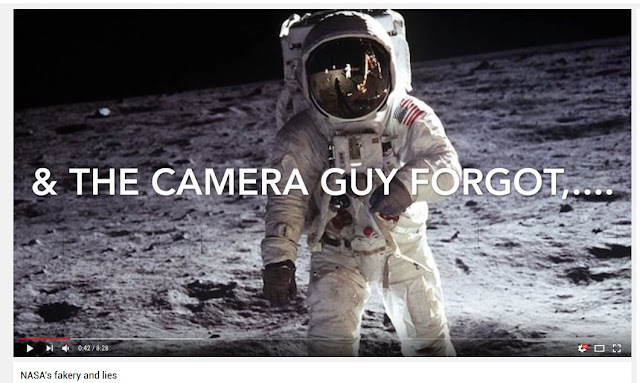 The Illuminati caught red handed faking missions to the moon. The video forensic proof before your very eyes, . 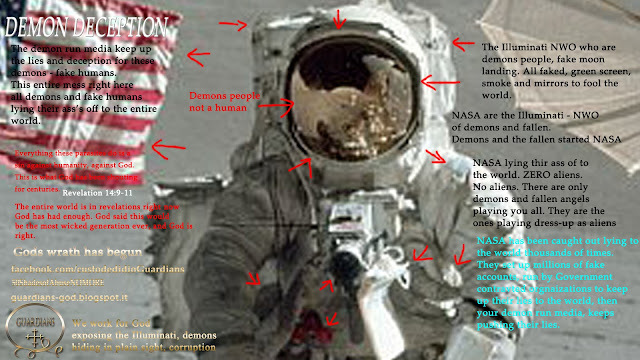 Fallen Angels - demons posing as astronauts from the fake Apollo Moon landing caught red handed in the forensics. The Illuminati NWO - NASA who are the demons, faked the moon landing, the forensic proof is in this video. 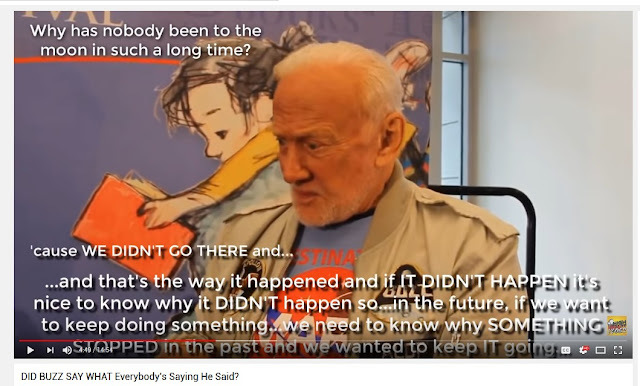 Buzz Aldrin said "They never went to the moon, never"
click on the images for full size forensics. The secret Mars space program - pure evil of these demons costing your countries trillions, stealing trillions of dollars to keep up this evil. 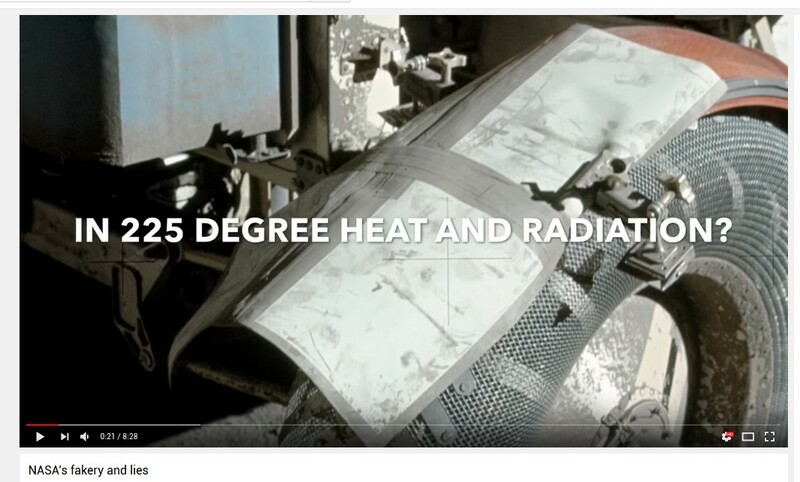 We did publish this video earlier this year, but we had so many updates that needed to be put in the video we removed it and put in the updates to show the world. 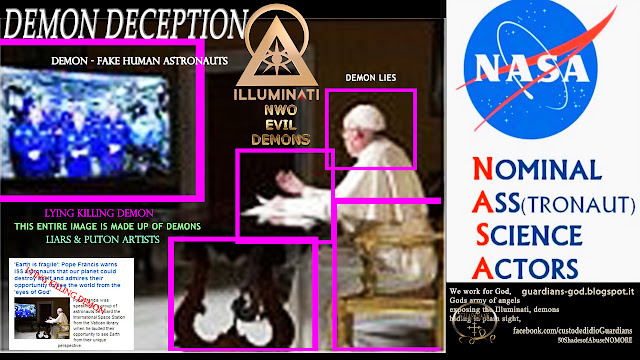 The moon landings all faked people, the deception and coverup by the New World Order who are the Illuminati - who are the fallen and demons. as lies and utter crap. We are calling you out as an Illuminati demon.We would be happy to sit down and do an interview and tell the world exactly who you are, and show them. You are a coward and liar hiding behind your lies and money, and the Illuminati, while the rest of humanity is being killed. Your $56 billion dollar plus lie to the entire world. 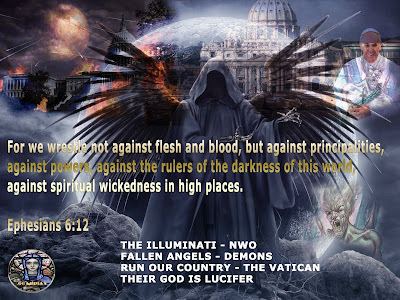 We are the only ones in the world to expose these fallen angels demons. 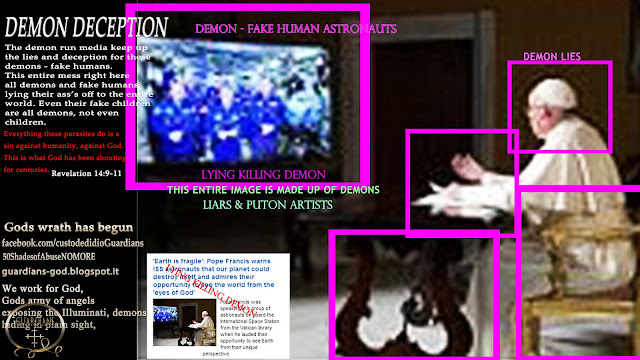 We are the only ones in the world to expose the Fallen Angels posing as astronauts, posing as NASA. Please watch these documentaries and read the articles with more forensic exposure, that exposes this world wide deception, murder, destruction of the Illuminati, Fallen Angels who are demons. Your entire Government, media, justice system, entertainment industry has been hijacked and is being run by demons. Demons own all your corporations, power companies, mining companies, APPLE, Microsoft - Bill and Melinda Gates, CERN all demons people, the list is endless. you need to click on the images to bring up the full forensics. ELON MUSK the Illuminati demons $58 billion lie to the world. 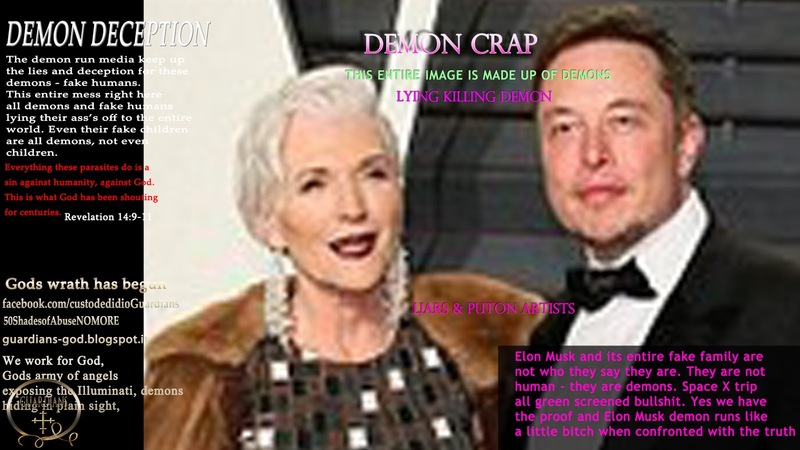 Elon Musk is a demon. The technology that is 100 plus years into the future comes from the Fallen, technology stolen from God. Tesla patterned fusion technology, space travel technology, and more in the early 1900's. 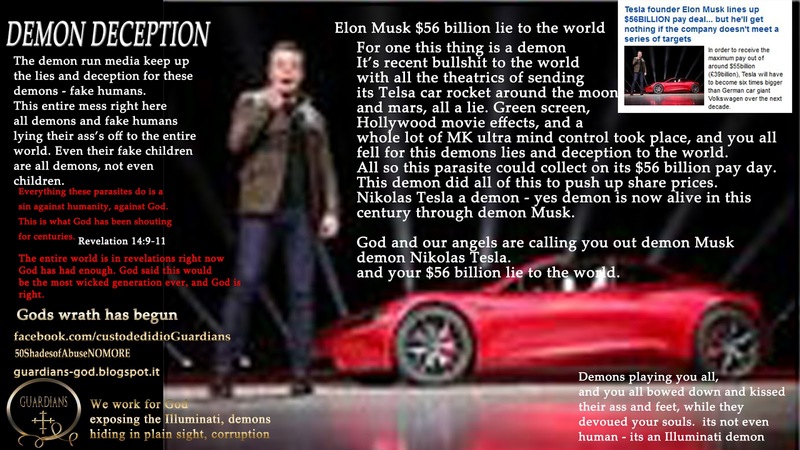 Tesla was part of the Illuminati, he was also a demon and is still alive to this very day. We showed you in the video Tesla demon - human form. 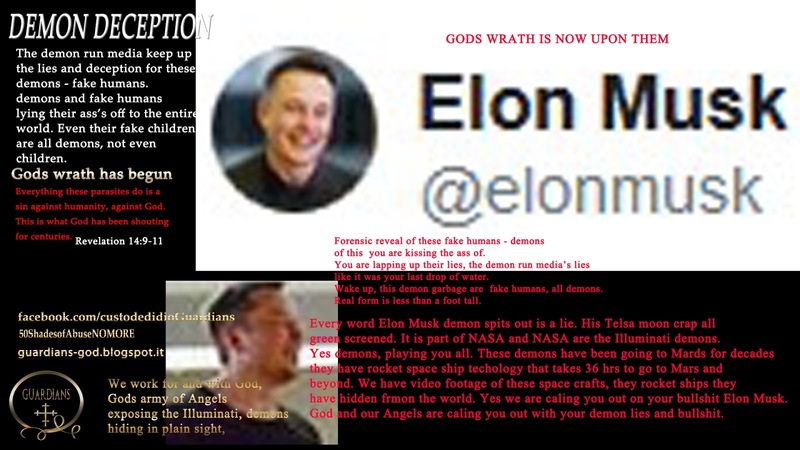 For your demon Government to admit this technology and where it really comes from, they would have to acknowledge the existence of demons, of the fallen angels, of God, Jesus Christ, of Angels. 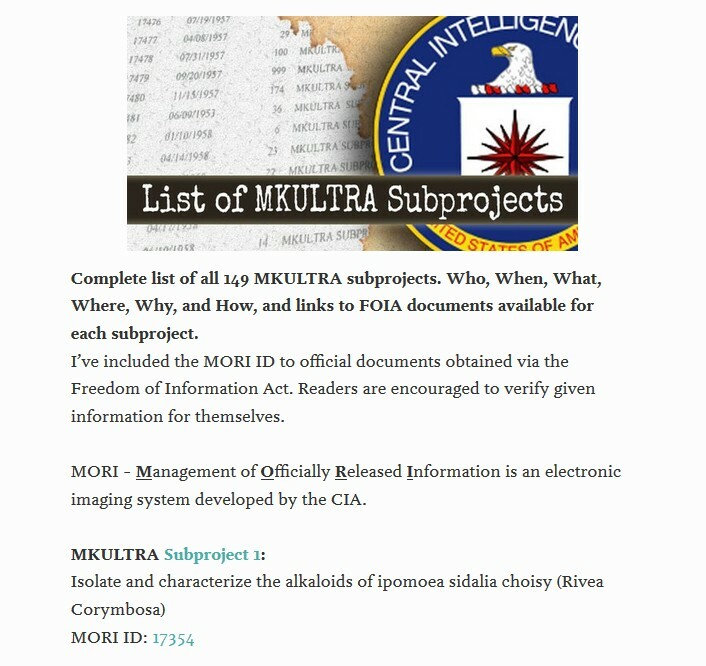 We have more than proven to the entire world that they do exist, JFK also exposed all of these things do exist, as did other brave souls going back thousands of years. Humans killed for exposing this. The Fallen, demons world take over. There are millions of demons looking for a way to enter this dimension. To do this they need a human host. Demons are killing humans, taking over their image, we have proven this to the entire world. The Illuminati demons have been running breeding programs creating fake humans, we have exposed this with forensics so we can show you what is really going on. Your TV hosts, news anchors, are now all demons, we are constantly exposing this using real forensics. These parasites are paid millions of dollars in salaries to keep up the lies and deception to the entire world, to keep up the lies of the Illuminati demons. 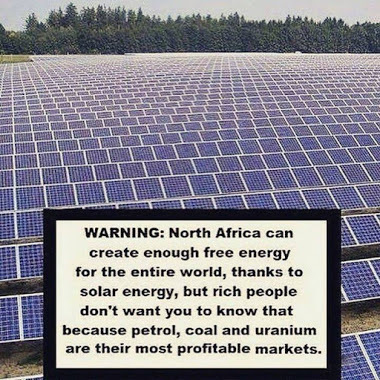 Your Governments world wide are stealing trillions of dollars from your economies to pay for this evil. 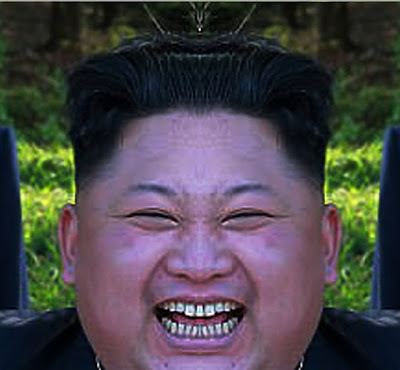 There are zero humans in North Korea, there is just demons, you are being played. There is no threat coming from North Korea, or Russia, the threat has always been the demons, the Illuminati headquarters of the USA. 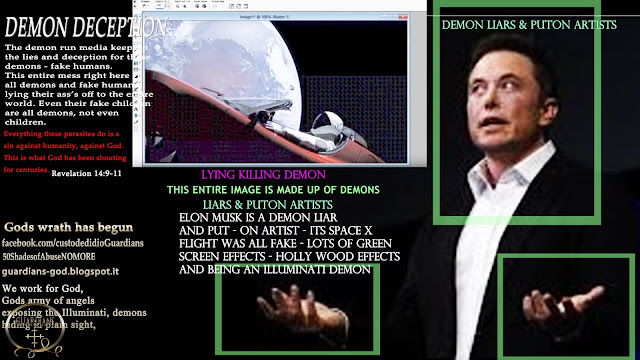 The Illuminati demons are using the demon run media to conduct domestic and international terrorism and murder of humans, the proof is in the videos. 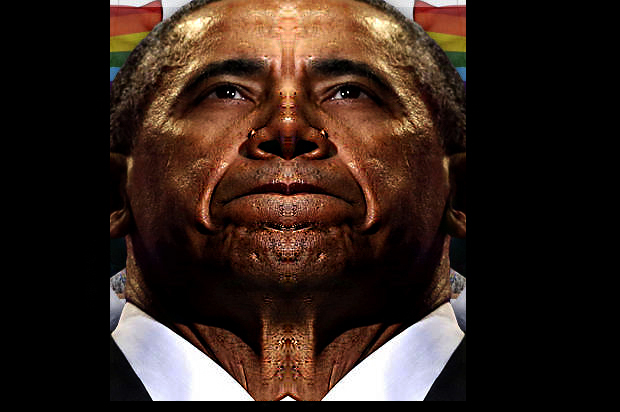 When you sell your soul to the Illuminati, join their organization you are killed, demons use your image. 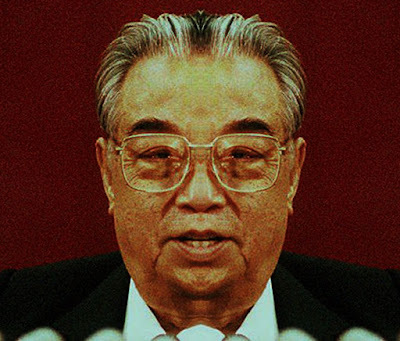 The United Nations is run by demons. Set up by demons, run by demons, not a human in sight. 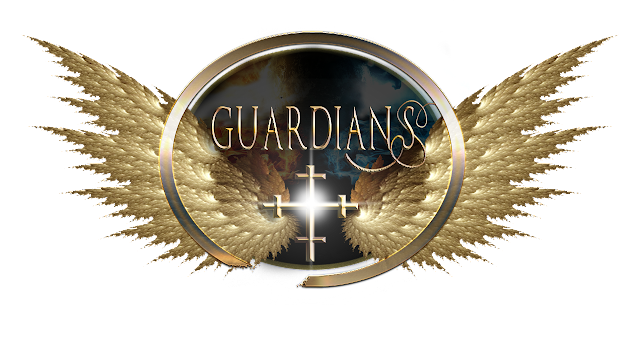 We are Guardians - we work for God - part of Gods army of Angels. We can expose anyone as a demon, under control of demons, demons - this is our ability as Guardians, we can expose this even from a video, pictures, in person. We can expose the Fallen Angels and yes even Lucifer which is Jamie Dornan, Alexander Skarsgård another fallen angel - fallen angels are demons. They can not hold human form for long periods of time, they were cursed by God to walk the earth as beasts until judgement day by God and our Guardians. 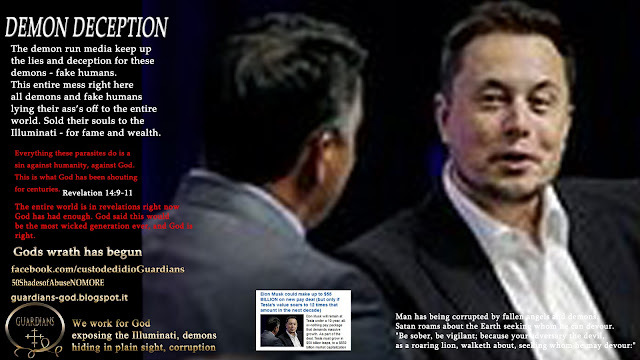 We have run ins with Lucifer many times since we have exposed it and other demons and fallen Angels. We have an army of Angels - ArchAngels to fight off this evil of demons. 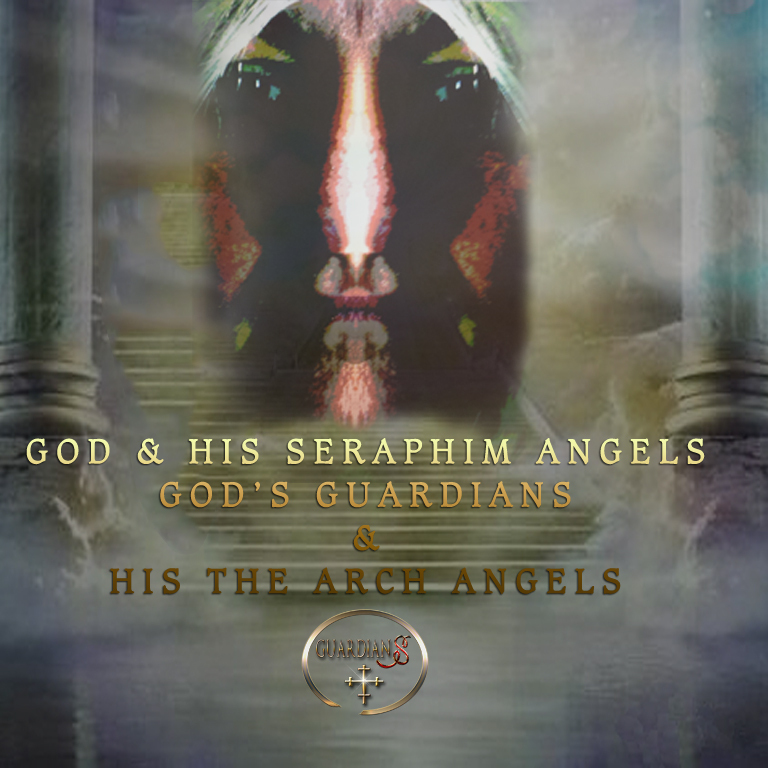 Arch Angels are the protectors of Guardians. ArchAngel Michael is the leader of the Angel army - of all the ArchAngels. We communicate through thought. We have showed you live video footage of our Angels and we have more to still publish. 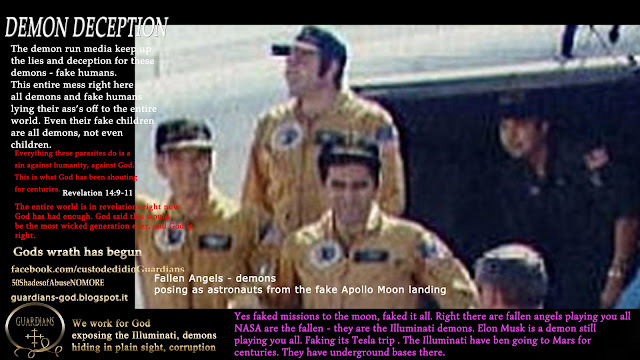 fallen angels - demons posing as As astronauts from the NASA Apollo moon landing. We still have material we have not published on the fake moon landings, and the evil that is being conducted on Mars by these demons. Planet earth is dying, it is now on borrowed time, and its demise is at your door, we have published the proof of this over and over. Earth can not be saved, because of what these demons have done. We just showed you what these demons did to Mars. Mars was identicle to Earth. The Illuminati strip mined it, poisoned it until the planet died. Now Mars is used as a base of pure evil. 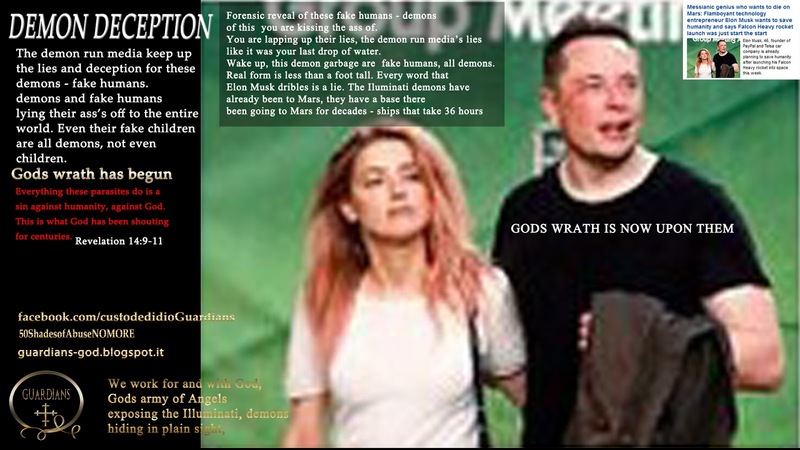 The Illuminati are creating fake humans, demons, and Mars is one such base this is being conducted, so are DULCE bases, and DARPA. And yes Australia has a massive secret space program, they have space ships, we have videoed them, they are in our videos on Angels and Revelations. We point out the spaceships in the videos which are clearly visible. There is a massive base in The South Australian desert, Western Australian Desert and Pine Gap. These bases are underground, and trillions of dollars has been ripped - stolen from you to pay for this evil. Yes evil people. We work for God and we specialize in demons, and Forensics for God. God is with us every day exposing these demons. We are not only part of Gods army but we are Ministers of the highest order. Our authority straight from God, and our authority over rules the Vatican. The Vatican are all demons. We hunt demons, Fallen Angels, beasts, fake humans. God see's through our eyes. We also carry the mark of God and the Angels. The Arch Angels are our protectors. 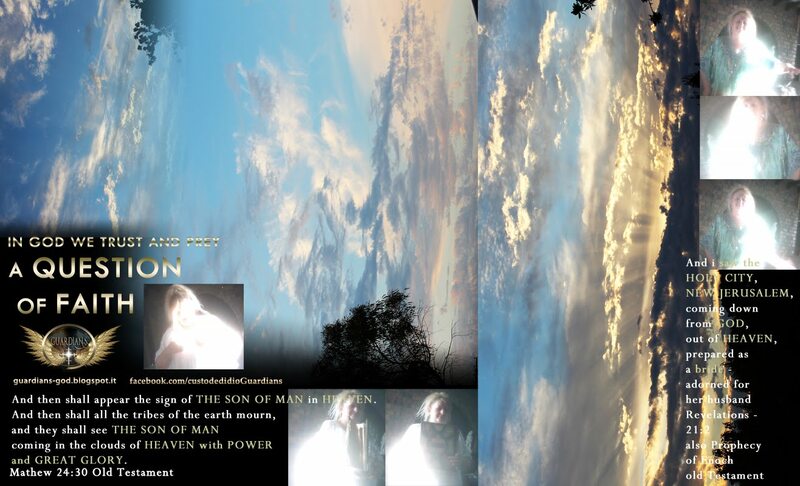 We have showed you live video footage of our Angels, God, Jesus, and the Arch Angels. These demons - fallen Angels - are trying to erase history, erase God, erase that Angels - Fallen Angels and Jesus Christ are real. These demons who are the Illuminati are trying to erase that God created the universe and Humans. 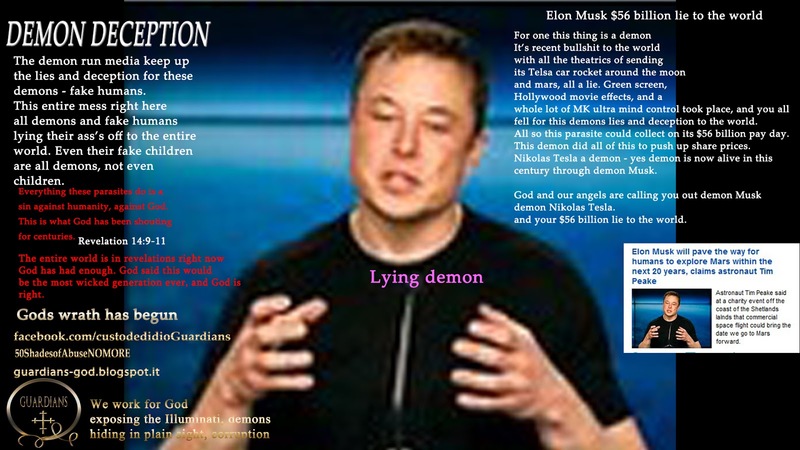 We are witnessing the lies of the demon run media, every day, running their destruction to humanity, destruction to human life and keeping up these demons lies. The demon run media with not publish the truth, they are keeping you a human as demon slaves, and God is waiting for you to wake up, stand up to these demons. You do have the power, you just don't realize it. By denouncing and exposing these demons, you take away their power. 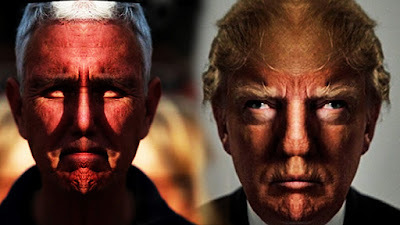 We have had run in's with Lucifer many times, and this fallen one has never won, it has lost every time. 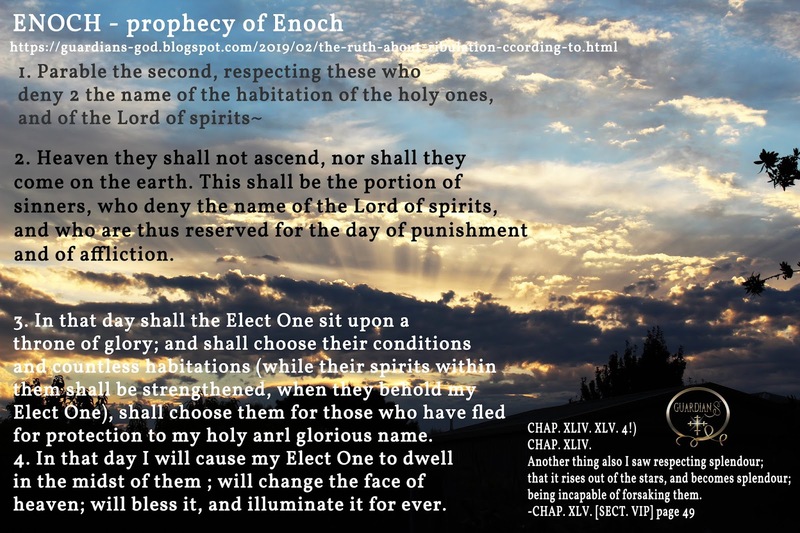 We have had run in's with demons many times, and those demons have always lost, every time they have lost, because we have God by our side, we have the Archangels in us, by our sides, day and night, they are with us day and night along with God. 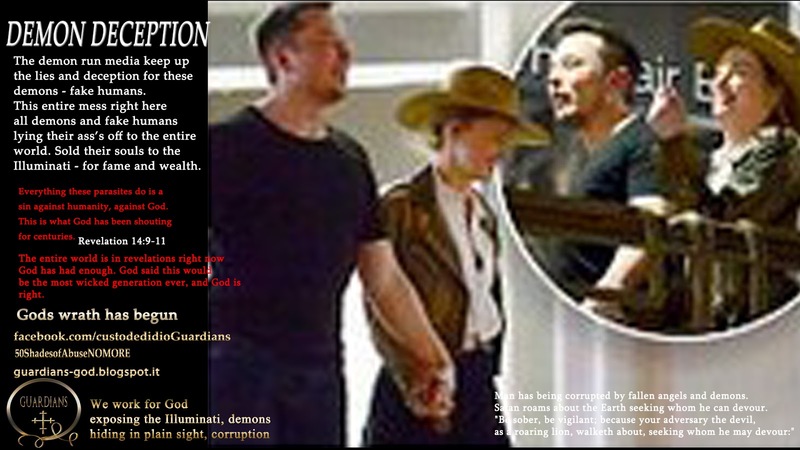 Our Guardians work tirelessly to bring the world the truth, of the demon take over, of its destruction of planet earth by demons - Fallen Angels, just as demons - Fallen Angels have destroyed Mars and other planets in the solar system, identical to Earth. God did not just create one earth, God created many. 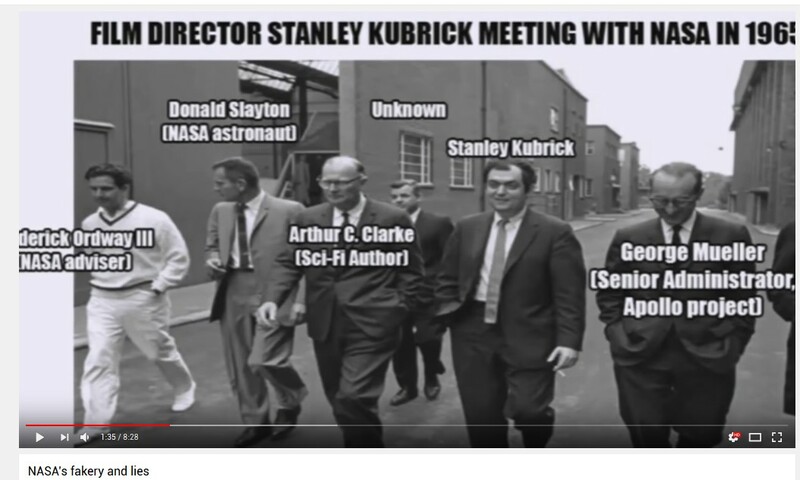 It is the Illuminati who named these other planets and are trying to deceive you with Aliens. There are no aliens anywhere in the solar system or other dimensions, there are just demons and the Fallen posing as Aliens, we should know, we are Gods Army of Angels, fighting to save humanity, we are fighting these demons. 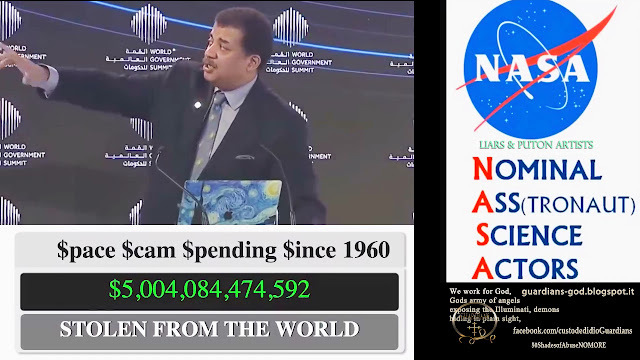 As we have said we are not paid, we have no funding to expose the truth, to bring the truth to the entire world. We have no material wealth, we work for God. God is our wealth.